Cancer is a horrible thing which so many of us have to deal with. It’s been a part of my life even before I was born. Sadly I didn’t get to meet my Granny Joan as she passed away at just 42 from breast cancer. In 2013 my family life was turned upside down with the news my dad was diagnosed with Lymphoma. Just two weeks later he started treatment in Harrogate. The Macmillian Nurses and staff were incredible. He made a good friend in one of the nurses who, just recently, I was lucky enough to meet. She is a true angel who kept my dad company throughout his treatment. My dad was strong. He fought so hard and in just 6 months he finished his treatment. Sadly my uncle became ill with cancer just over a year ago and only a few months ago we lost him to this awful disease. He was such a fun loving man with his family at the centre of his world. A big shout out to St Michael’s Hospice in Harrogate for caring for him. My Granny Joan, my uncle and especially my dad are inspiring people so it was time to show my support. 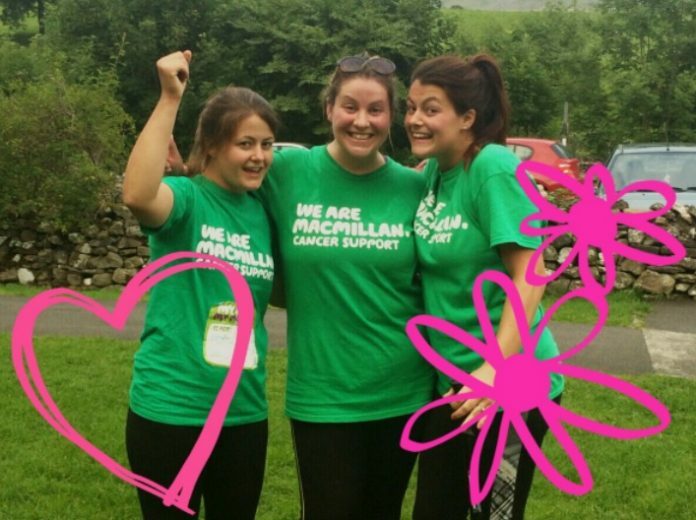 Last year my two cousins and I took on the challenge of The Yorkshire Three Peaks. Completing it with seven minutes to spare, we raised a great amount but I want to carry on raising money for all those people going through what we have been through. Together we are stronger and we will, one day, beat it for good. 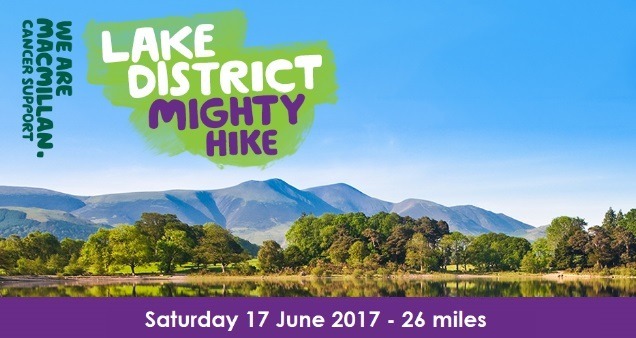 My mum and I have signed up for the Mighty Hike on Saturday 17th June 2017. Its 26 miles and I need to raise a whopping £250 so I need your help. If you can donate, even if it’s only a little, every bit counts. Please visit my Just Giving Page or if you want to join in the fun register for the hike here. What are you waiting for, join us!